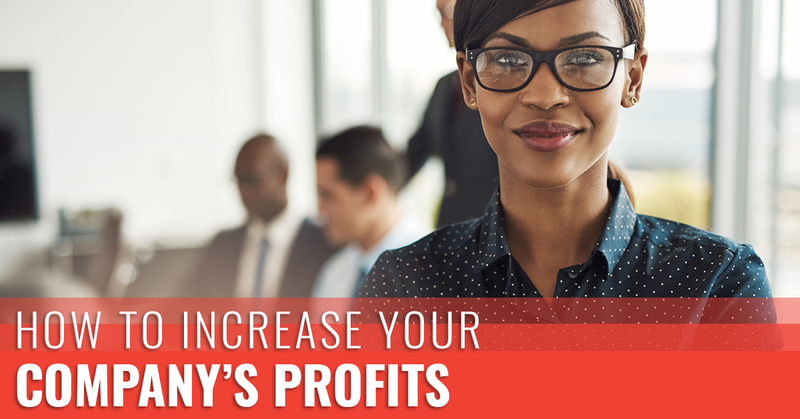 If there’s one question small business owners ask most it’s “how can I increase my profits?” Although driving sales is a key component of increasing profits, equally important is the way you cut costs any way you can. Here at On Demand Courier, we’re all about efficiency. When your business is efficient, it’s saving money and improving its bottom line. Stay tuned to learn some helpful tips on how to increase your company’s profits or give us a call today if you have any questions about our courier services in Phoenix. You may think that your business already has enough on its plate but bear with us. It’s great to just offer one product or service for your customers, but the truth is, many people are always looking for added convenience. If you can sell something to them that makes their lives even slightly easier, you’ll see a nice boost to your profits. This is known as synergy in business terms meaning you’re combining two different products or services that will be mutually beneficial to the customer. This way, your customer won’t have to search elsewhere for everything they need. Many business owners are under the impression that driving costs as low as possible will always increase their customer base, but this couldn’t be farther from the truth. It’s usually better to keep your prices at a sustainable rate and convince customers why your product is worth that extra money rather than hoping they’ll buy your product just because it’s more affordable than their other options. Investing is just as important for businesses as it is for individuals. As a business owner, you should be thoughtful about the way you invest. For example, if you’re considering purchasing something for your business, consider both short-term and long-term returns on investment. Ask yourself how much this product will increase your profits as soon as it’s implemented, and a year down the road. If the initial expense is too great, consider holding off until you can afford it. There’s nothing wrong with offering the same product for years on end if you know it works, but if you really want to see the money roll in, you’re going need to keep up with trends in the market. Even if you think you have a good grasp on what customers want, make sure to stay engaged and don’t be afraid to speak with customers directly to gauge their satisfaction with your company and the industry as a whole. This may put you ahead of your competition. If you want to drive profits, it’s just as important to keep up with your employees’ thoughts as it is your clients’. Although business owners should have a better grasp of what’s happening in their company than their employees, that’s not always the case. And even if they do, that doesn’t mean that employees don’t have helpful input that can make the company more profitable. Sometimes, your company is doing all the right things, it’s just not doing them fast enough. Efficiency means serving more customers while maintaining the quality that they expect. Here at On Demand Courier, we have one goal: to improve the efficiency of your business. By offering dependable and affordable courier services, you’ll never have to worry about whether your company’s assets will arrive on time and as expected. If you’d like to learn more about our couriers on call, don’t hesitate to give us a call today.